I had been reading up and studying nihonto recently. 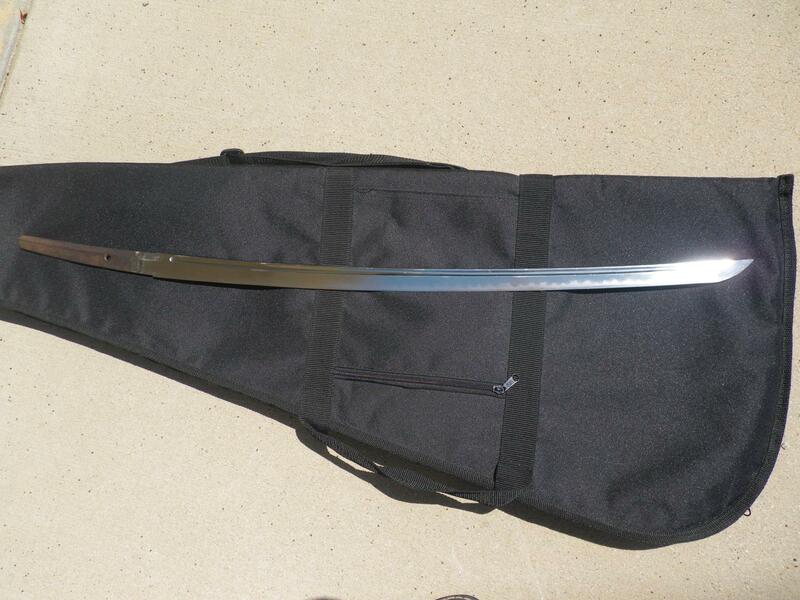 I wanted to get a katana and to avoid a gunto or Chinese fake. 20th century would be OK, as long as it wan't factory produced. I felt like I had enough knowledge to at least avoid those. 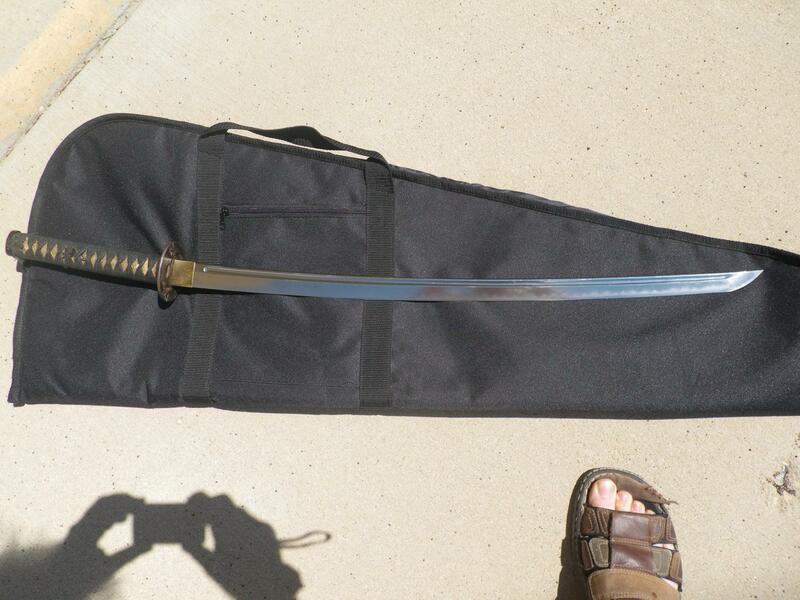 I knew I wanted a katana with a bo-hi and had a style of hamon in mind. That led me to this. It has many flaws. 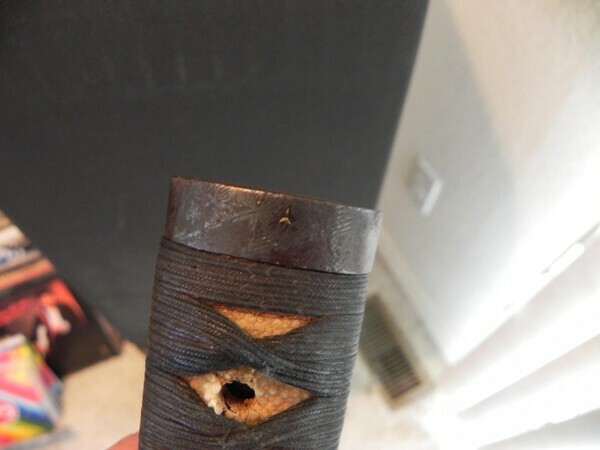 I'm trying to get an idea of whether it's worth putting effort into to restoring it. 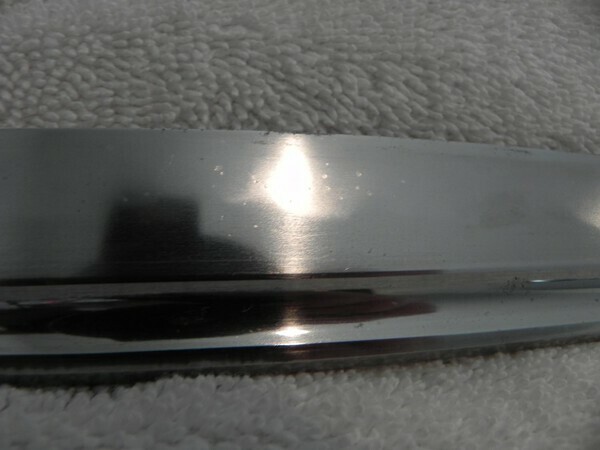 It has a signature that is easily read, I'm not including it here because I'd like to get opinions based on the appearance of the blade. I tried to get some decent close-up photos, I can get more if needed. I made measurements of it, here are a few. Nagasa is 28.5", overall 35.75". 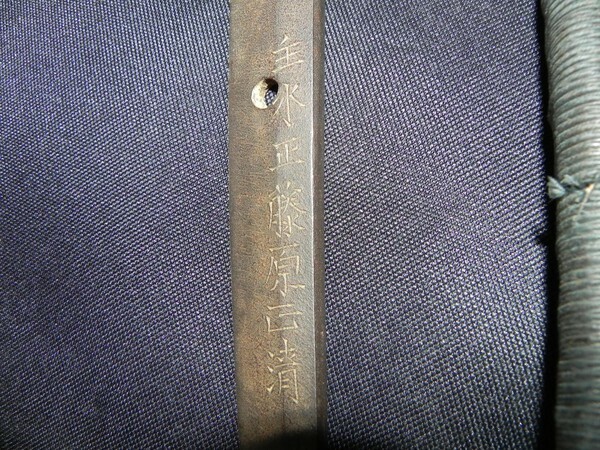 Sori for just nagasa is 14.42mm. 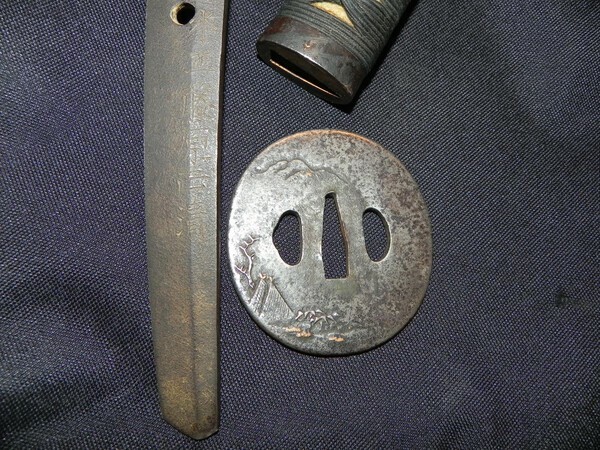 Motohaba 33.48mm, sakihaba 23.4mm. 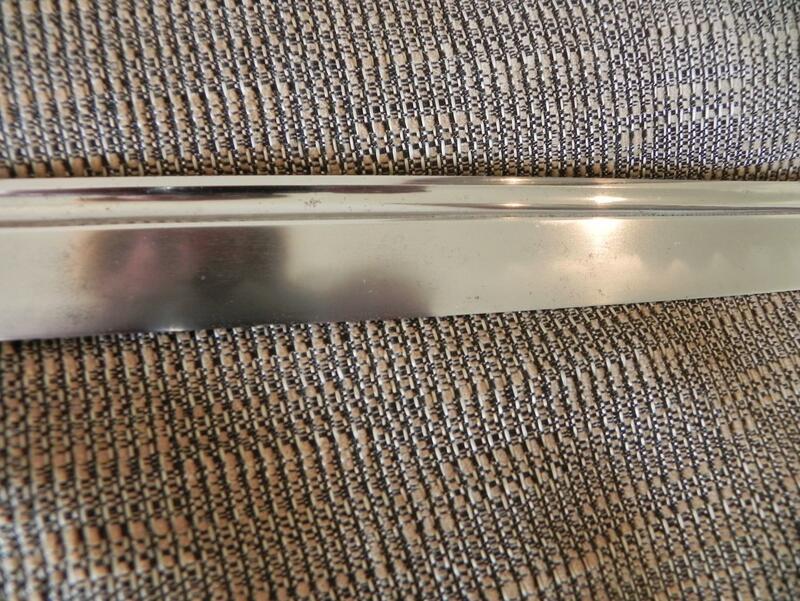 Motokisane 7.95mm, sakikasane 5.86mm.
. At the very least it needs to be seen out of mounts. Not so interested in the mei but the nakago can tell you a great deal regarding age and possible school. As is I don't think there is sufficient detail visible to offer much of an opinion. 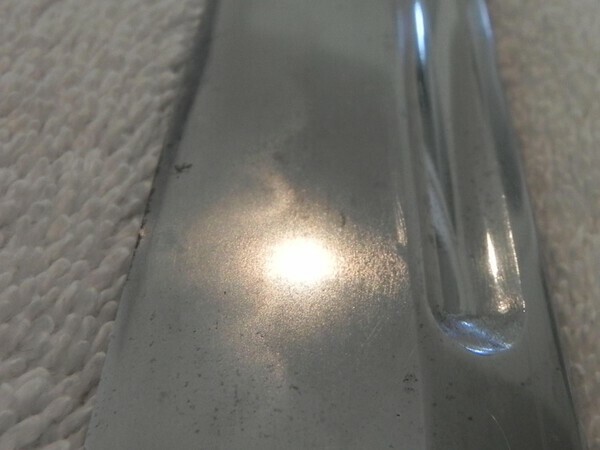 However two areas of concern are firstly the bo-hi seems to have a major bend or distortion in it which suggests it is either badly cut or has had some heavy impact damage. Secondly the kissaki and boshi look wrong. 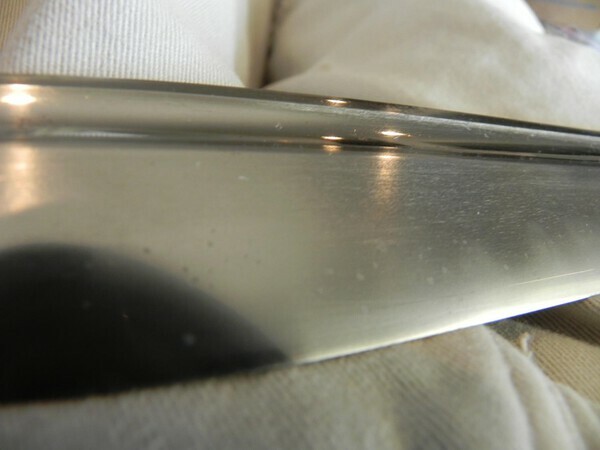 The hamon runs up to where the yokote is supposed to be but then the proportion in the kissaki and shape totally changes. 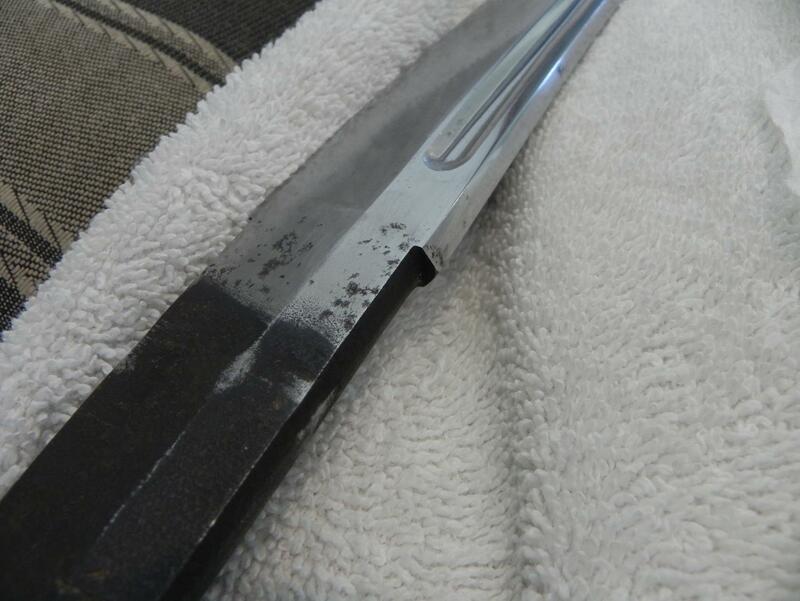 It may suggest the kissaki has been damaged and reworked. 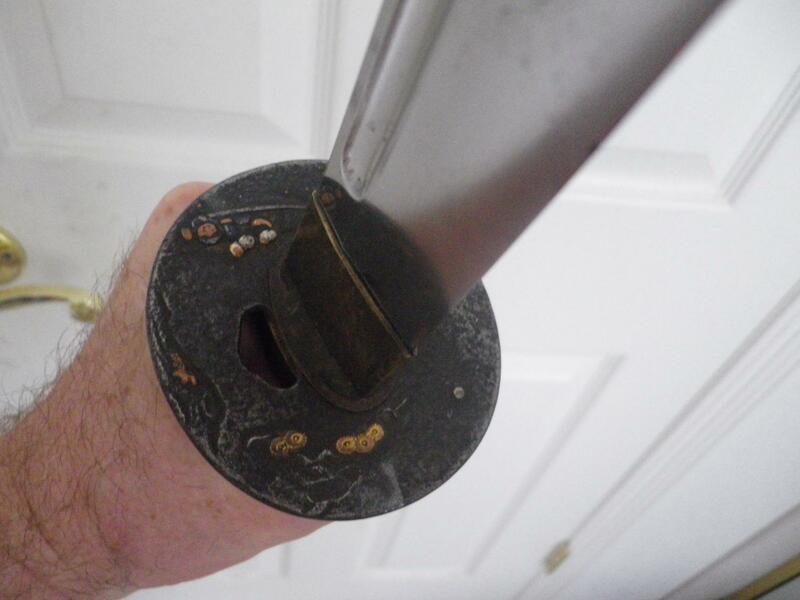 it is difficult to judge by a few photos, but my impression is as well that there is something wrong with the sword. 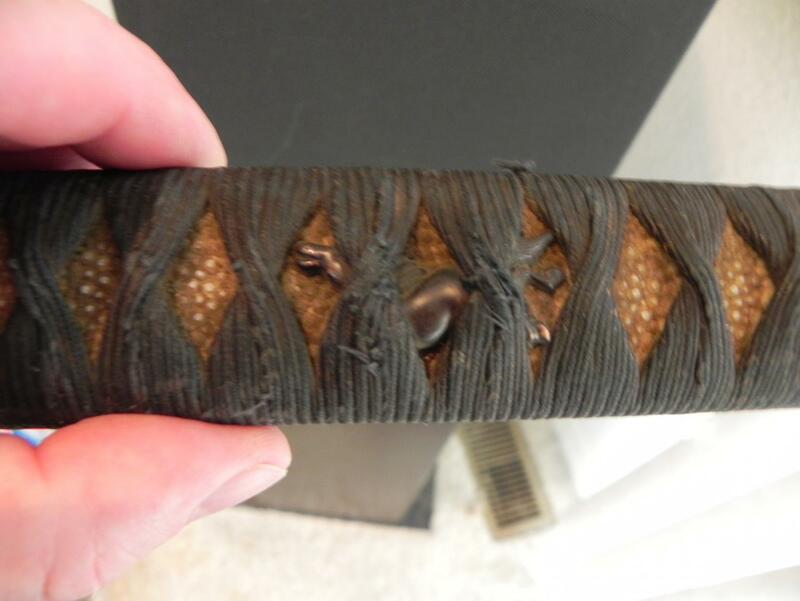 TSUBA and HABAKI do not look authentical to me. The MEI might provide a clue what to think of the blade. Agree with Stephen. The boshi looks like it has been reshaped, so the niku looks off, but other than that, it looks pretty plain old Shinto. 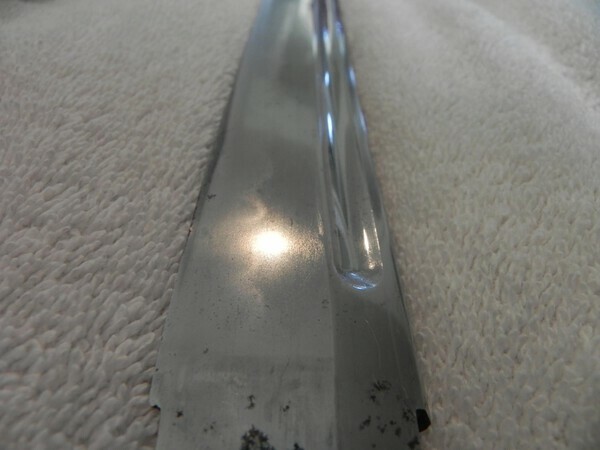 Paul, in almost all of the blades I've seen, the best way to tell Koto from Shinto is that Koto blades continue the same hamon pattern into the boshi, while Shinto changes the pattern. Never have figured out why, but it's a major kantei point for me. Having seen the other images I am also in the shinto or later camp but I think it has some issues. 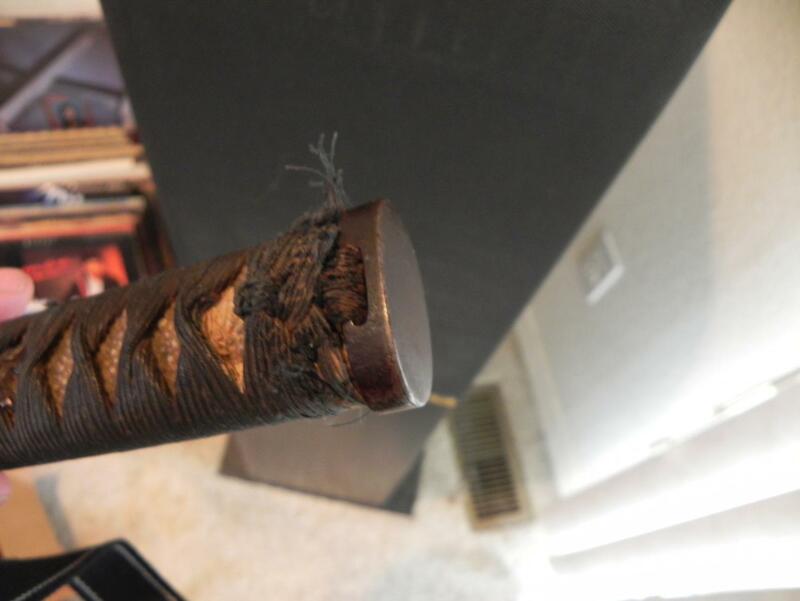 The shape of the kissaki has been futzed with for sure. The geometry is off and whatever was done ate up some of the boshi. Thanks for all the responses, really helps me! It's good to know I probably don't have something factory-made or made recently. 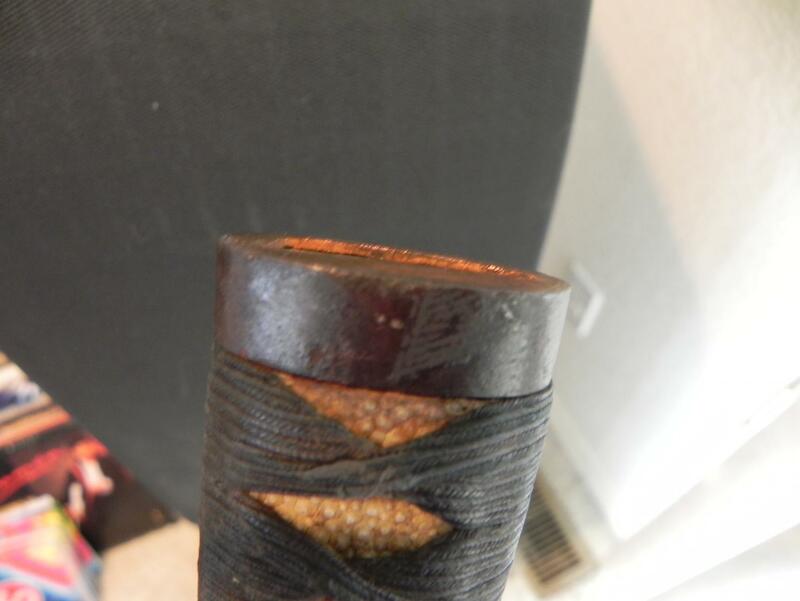 The jigane seems very fine and dense, really consistent with almost no features like burls, wavy lines, or wood grain-like features. The hamon is very irregular, no real pattern and seems like it would come out well with a good polish. I took some more photos to add. 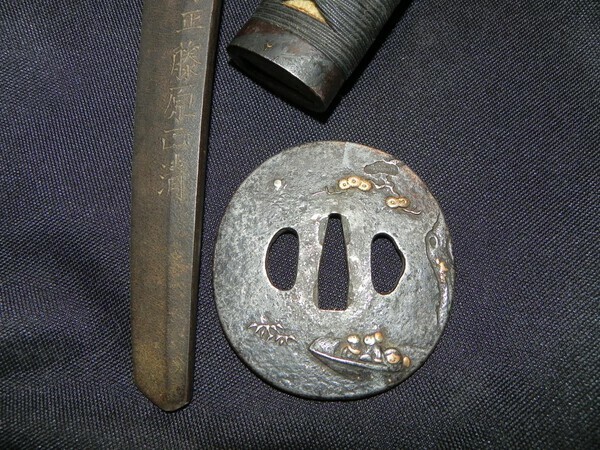 I'd like to know opinions about the mei, tsuba, or anything else of interest. I know what the signature is: Mondonosho Fujiwara Masakiyo. I've studied what I could online about it. Commonly faked, but this looks nothing like two likely gimei I've seen online. Looks very much like some verified photos from books, museums, and auctions. I learned his swords were sometimes signed daimei by his son and his student, so the style may not look the same on all of his work. Also, he often included a leaf aoi symbol above the mei but this doesn't have it. 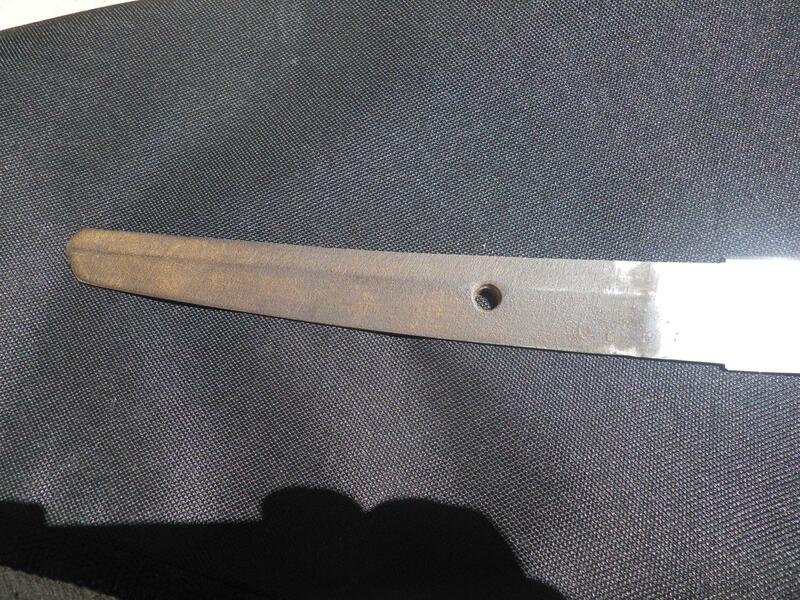 I have seen one other verified example that includes "mondonosho fujiwara" without the leaf.